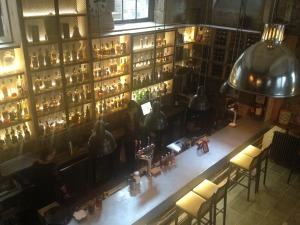 The last week has seen a couple of interesting, new bars open in Edinburgh. Tucked away on Advocates Close, just off the Royal Mile, is the Devil’s Advocate, the latest opening from the people behind The Bon Vivant bars. It is a good looking space. Stripped stone walls and exposed steel beams give it a warehouse feel but the lighting adds an unexpectedly warm, homely feel. Old Town restaurants can be a little more tartan than necessary. The Devil’s Advocate is more minimal and chic. A quick visit at the weekend showed a concise menu of polished pub grub. Think haggis bons bons with a coriander, cucumber and chill dip; truffled mac ‘n’ cheese plus huge burgers accompanied with a quince aioli. The cocktail list is pretty inventive but it was the whisky selection that caught this scribbler’s eye. Natch, Scotch was prominent but the collection of bourbons and rye whiskies would stand up to thorough investigation. At the other end of town, Panda and Sons is a hip new cocktail bar in a Queen Street basement. Iain McPherson, formerly of The Voodoo Rooms, seems to be the guiding light behind the bar. 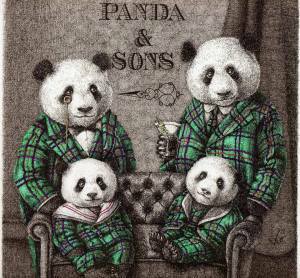 Naturally, the bar is hidden behind a mock barber’s shop and the idea is that Panda and Sons has been founded by three generations of pandas -something that Edinburgh zoo can only dream of.